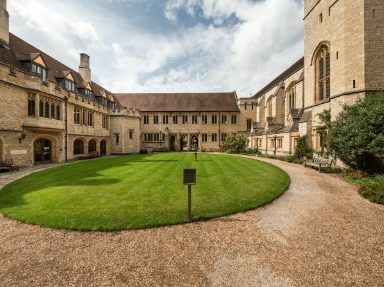 Experience Oxfordshire has a regular schedule of events throughout the year. Events include exclusive Partner networking events at venues across the Oxfordshire that bring our network of Partners together to meet and make connections that benefit their businesses. Events also include seminars on topics ranging from Data Protection to Social Media marketing; trade shows that bring Partners together to promote Oxfordshire to national buyers and travel trade missions to target international markets. 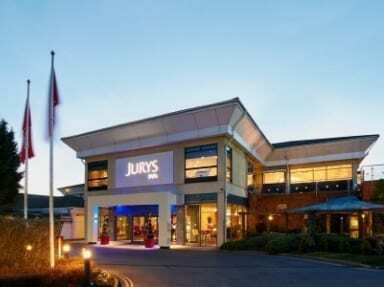 Join us at Jurys Inn, Oxford on Thursday 25th April at 9.30am for the Conferencing Partners Spring Meeting. Feedback from Experience Oxfordshire’s attendance at Meet GB in Windsor will be reported on together with a showcase of the new Experience Oxfordshire Conferencing website. Plus, hear from our invited speaker, Jamie Ades , Destination Relationship & Support Manager forBusiness Events at Visit Britain who will discuss Visit Britain’s activities and their top line strategy for business events. Our annual Partner Conference ‘Insights from the Experts’ will be taking place at the Jurys Inn, Oxford. The event will see experts from across the Visitor Economy sector providing expertise and insight on a range of important issues that affect the industry. This is your opportunity to meet and ask questions. Experience Oxfordshire welcomes you to meet Carole Souter CBE, Master of St. Cross College and former CEO of The Heritage Lottery Fund, in conversation with Richard Venables, The High Sheriff of Oxfordshire. The discussion will explore the interplay between heritage and the visitor economy, and will be followed by a networking reception with light refreshments. 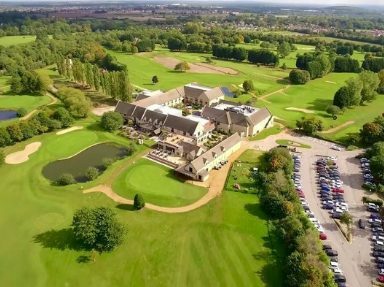 Our first Partnership Meeting of 2019 will be held at the luxurious Bicester Hotel Golf and Spa. The meeting will give Experience Oxfordshire partners an opportunity to catch up with the Experience Oxfordshire team, and learn about developments for the coming year. The event will include a tour of the Hotel and Spa facilities and also (weather permitting) a fun Golf Challenge on the putting green. 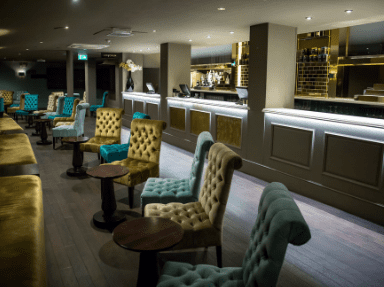 The Experience Oxfordshire team welcomed partners to The Piano Bar at the New Theatre Oxford. The event was a great opportunity to catch up with the Experience Oxfordshire team and find out our plans for 2019 as well as catching up with colleagues and making new business connections. The event also gave attendees an exclusive opportunity to have a back-stage tour of the New Theatre to see where it all happens. 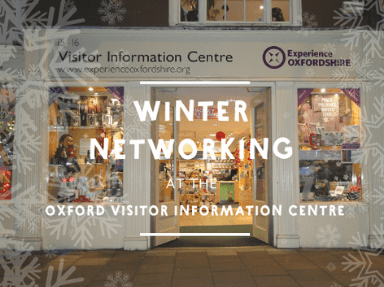 The Experience Oxfordshire team hosted a winter networking event at the Award Winning Visitor Information Centre (VIC). It was a great opportunity to see how partners can make the most of the services offered in the VIC – which attracts around half a million visitors annually. The evening provided partners an opportunity to receive exclusive offers on marketing activity and discounts on purchases. The Oxford Artisan Distillery (TOAD) joined us on the evening and provided their excellent local gin for guests to enjoy as part of the event. 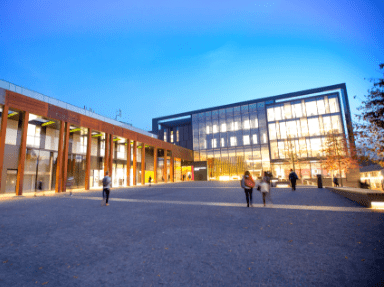 Our most recent bi-annual Conferencing Partners meeting networking event was held at Oxford Brookes University. This event was an opportunity to be informed of our latest conferencing activity including key deliverable statistics in addition to an update on our new conferencing website. Plus, there was a discussion led by Peter Russell from the Oxford Brookes Business School on the research into the Business Visitor Economy in Oxfordshire being carried out by the Business School on behalf of OxLEP and partners.